Unhappy with your club pick this month? Don't worry! Simply follow the step by step instructions below to find the puzzle of your choice! 1. 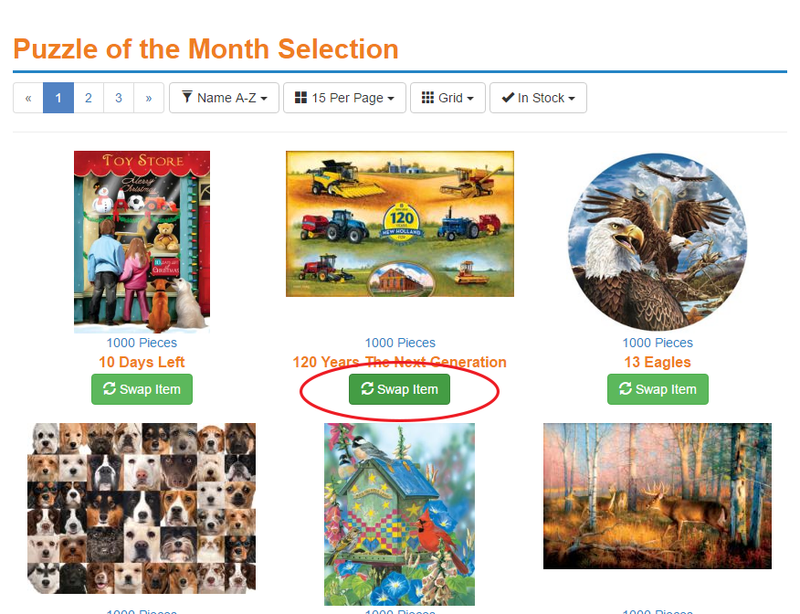 To swap your puzzle of the month selection, you must first access the 'Account' section located on the upper right corner of PuzzleWarehouse.com. 2. 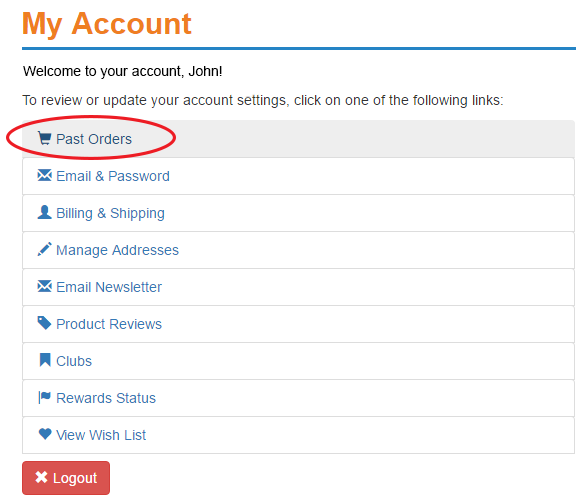 Once logged in, you’ll want to select ‘Past Orders’ at the top of your account page. 3. Next, click the details link next to the $0.00 order listed with the ‘Awaiting Confirmation’ status. *Please Note: The Swap function is only accessible when the order is listed under the 'Pending' and ‘Awaiting Confirmation’ status. If the order is listed under a different status (Assemble), please allow up to 8 hours for this to be updated. 4. The green ‘Swap Item’ button will be available next to current selection. By clicking this button, you’ll have access to all titles available for the month. 5. Once you’ve found the puzzle you would like, click the green ‘Swap Item’ button to confirm your new selection. Your new swap selection will now be listed on your updated order page and will ship on your original ship date. Still having trouble swapping your puzzle? Send us an email at support@puzzlewarehouse.com or by giving us a call at 866-539-4278 (8 AM – 6 PM CT Monday thru Friday).